This page aims to help you remove Appdarkgame “Virus”. Our removal instructions work for Chrome, Firefox and Internet Explorer, as well as every version of Windows. There is a type of software applications called browser hijackers that are generally considered unwanted because they tend to infiltrate the user’s browser (be it Chrome, Firefox or some other) and make changes to it without the user’s consent. For instance, it is possible that the regular search engine of your browser might get replaced with some other one or that the homepage and new-tab page get modified and changed with sponsored/promoted ones. Other alterations are also possible – a new toolbar might get added to the browser and you might begin to experience intrusive redirect to various pages you didn’t actually want to visit. Hijackers are also known for displaying obstructive and irritating advertising materials. Therefore, if you currently have such an app installed on your computer it is very likely that each time you attempt to open a new browsing session your screen might get flooded with different flashing boxes and banners, annoying pop-ups, various online offers and even misleading or outright fake warnings about issues with your PC that you don’t really have. All of this can, naturally, be extremely unpleasant. Any customer who needs to use their browsing program on daily basis for work, education or entertainment knows that the browsing program needs to be well-optimized and cleaned off any unwanted or obstructive content. Otherwise, it could be really frustrating to effectively navigate through the web locations that you want to visit. Unfortunately, as you already know, browser hijackers are exactly the type of software that is capable of messing up your regular online experience and making it rather difficult to normally use your browser. One recent example of an app that falls under this category of potentially unwanted software is the so-called Appdarkgame “Virus”. It is a typical representative of the hijacker software class – it can modify the browser you normally use as well as generate irritating advertisements that don’t go away no matter how hard you try to get rid of them. The good news is, however, that it might not be all that difficult to handle such an annoyance. All you’d need to do if Appdarkgame is on your machine at this moment is uninstall the pesky app. The thing is, though, that many hijackers are programmed in such a way so as to be difficult to remove which is why simply clicking on the uninstall button from the Control Panel’s entry for Appdarkgame might not do the job. That is why we have made sure to provide the visitors of this page with detailed instructions on how to fully eradicate the intrusive application making sure that there’s nothing left from it on your computer. You can find the needed instructions in our removal guide for the Appdarkgame “Virus” app down this page – you are free to use them in case this hijacker is irritating you and you want to have it removed from your machine. The application of this category are relatively harmless as they are not really considered viruses. Actual malware hazards like Ransomware, Trojans and Spyware are really dangerous kinds of software and they can cause different types of harm to any user who has the misfortune of landing such a virus. On the flip side, a hijacker like Appdarkgame would mostly only annoy you with its imposed browser changes and its frequent generation of adverts. 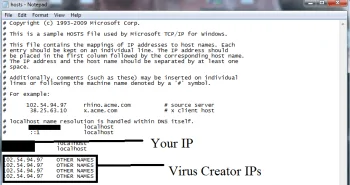 Aside from that however, no direct harm should come to your PC from this hijacker. Notice, though, how we said “no direct harm”. Although a browser hijacker app might not directly damage anything on your PC, you are advise to keep away from the ads that it might put on your screen as they might sometimes trigger redirects to shady web locations if you click on the wrong advert. In the most severe of instances, this could potentially expose your computer system to really nasty software viruses – Ransomware, Spyware, Trojan Horse, Worms, etc. Most hijackers are not considered illegal and in most cases such apps are distributed alongside other programs in the form of bundled optional installs. In this case, using the Quick setup settings to install a new program that has a hijacker bundled with it will likely install the hijacker alongside the other program by default. That is why you are advised to use the Advanced setup – there, you will have access to options that allow you to choose which of the bundled apps you want to leave out. Therefore, next time you are about to install anything on your computer, opt for the Advanced setup settings and uncheck any added/optional feature or app that you might not want on your PC. Symptoms Replacement of your default browser search engine and starting page.